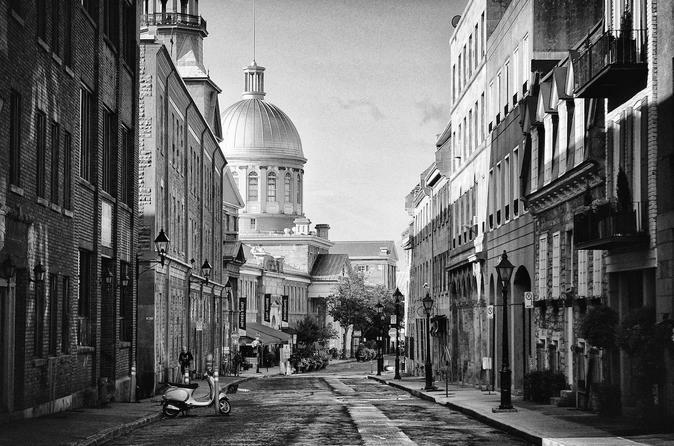 See the hidden treasures of Montreal on a private photo tour with a professional photographer. Visit lesser-known parts of the city and see the city's main landmarks. Along the way, learn how to tell stories through photography and improve your technical and compositions skills. Each tour is completely private and can be customized to your interests and skill level. Hotel pick up & drop off included. Nurture your interest in photography while exploring Montreal on this private 4 hour photo tour. In the company of professional photographer Alain Dahan, visit the most interesting Montreal sites, get photographic guidance and learn how to create great images. From the historic European architecture of Old Montreal to the sci-fi look of the Olympic Stadium, Montreal has it all. This highly-flexible private tour is intended for photographers of every level. The photo tour is private and completely customizable. So bring your camera to Montreal and delve into the exciting creative opportunities this unique city offers. Thanks to my 20 years as a location scout on major motion pictures and TV shoots, I know how to get access to the best and hardest to find locations plus many other resources that together will fulfill your most creative ambitions.